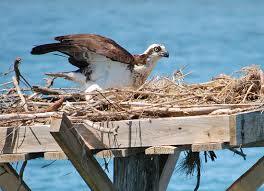 The osprey is one of our planets most widespread birds of prey. 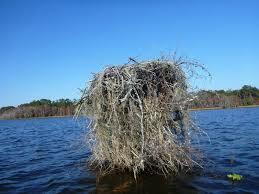 They can be found on every continent except Antarctica. 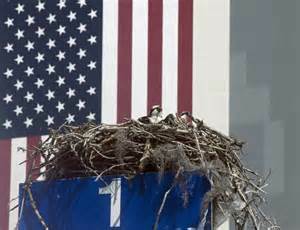 Ospreys in North America nest from northern Alaska; along the Atlantic coast as far south as the Florida Keys, and along the Pacific coast as far south as Mexico. 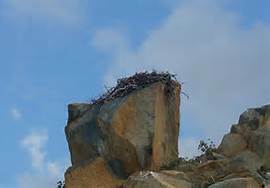 The geography of their nesting sites affect the type of nest they build, and its placement. 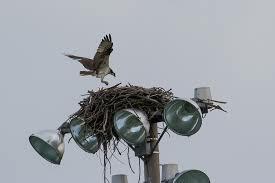 Generally, Ospreys reach sexual maturity and begin breeding around the age of three to four, though in some regions with high osprey densities, such as Chesapeake Bay, they may not start breeding until five to seven years old. 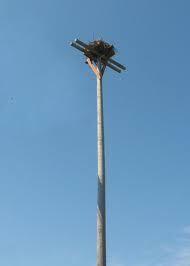 Sometimes there is a shortage of tall structures, restricting the number of safe, suitable nest sites. 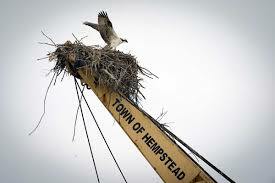 If there are no nesting sites available, young ospreys may be forced to delay breeding. 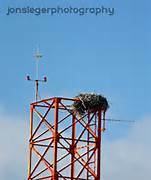 Human osprey enthusiast in these regions often erect platforms to provide more sites suitable for nest building. 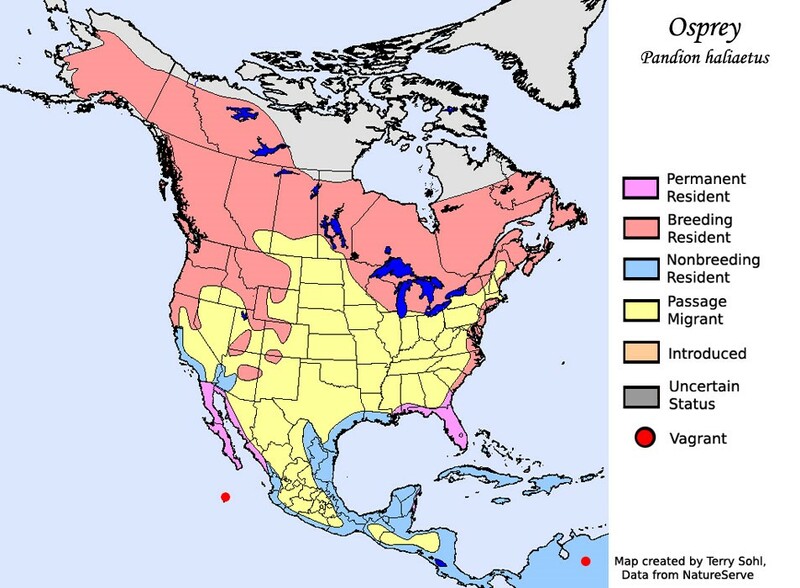 First-year birds stay in South America during the spring. 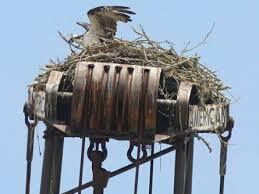 This is the notorious 18 months of a young osprey’s life. 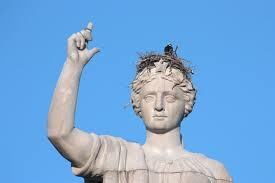 The adult birds return north. 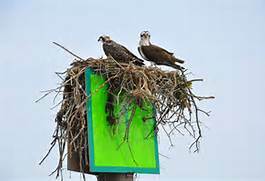 The immature osprey won’t leave the wintering grounds until their second year, and they won’t breed until they’re three or four. 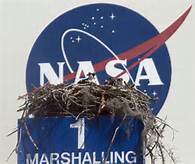 Each year the older birds return to the exact site of last year’s nest. 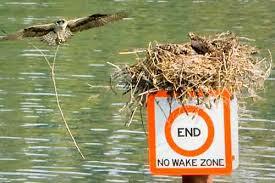 How they do it remains a cryptic wonder of nature. 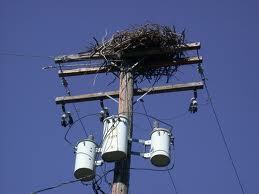 I doubt humans will ever figure it out. 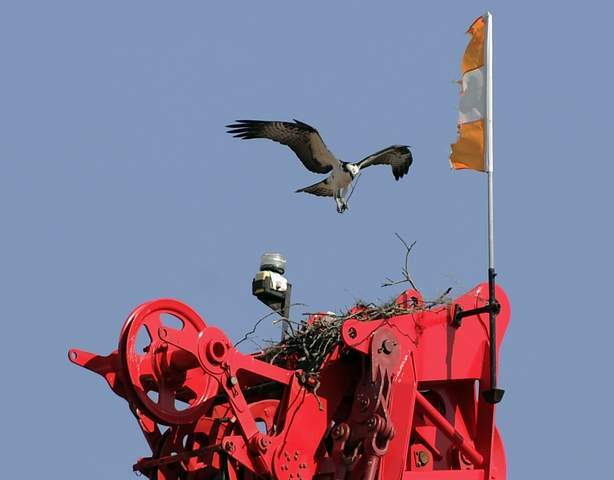 Ospreys want their nest sites out in the open for easy approach. 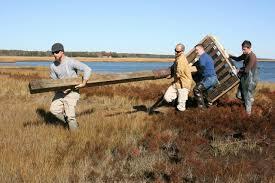 They look for structures with a wide, sturdy base and safety from ground predators (such as raccoons). 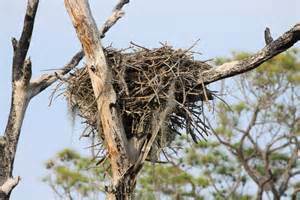 Nests are usually built in trees on snags, treetops, or crotches between large branches and trunks. 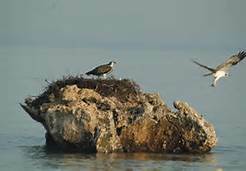 Usually the male finds the site before the female arrives. 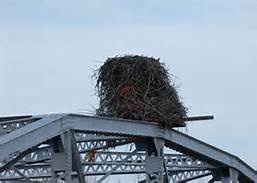 Every year their first priority is to re-build and bolster the nest. 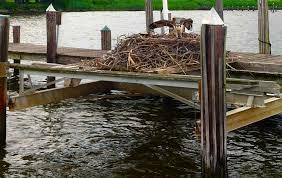 The female places and arranges most of the new sticks while the male acts as the gofer. I hope you can open this file. 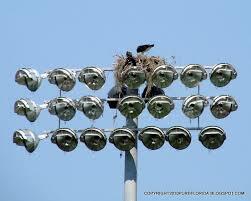 Besides the nest building, you can see how easy it is to distinguish male from female. 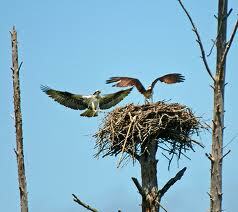 The male has an all-white chest and neck, whereas the female wears a necklace. 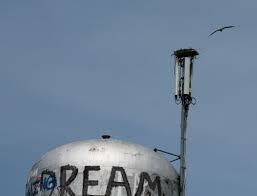 Listen to their vocalizations; more on bird talk later. 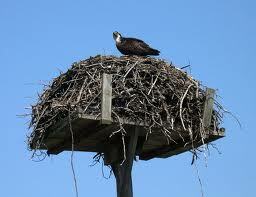 The nest is constructed of sticks and branches, and is added to annually. 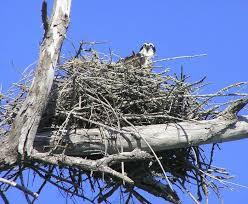 An osprey’s nest may weigh as much as 400 pounds. 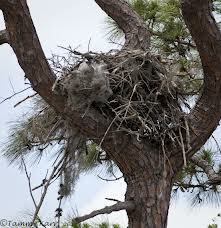 Nests usually are renovated and reused annually either until the base collapses or until the nest is damaged in a storm. 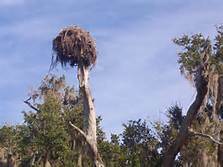 Nests often are five feet across and two to three feet deep when they are first built and increase in size each year thereafter. 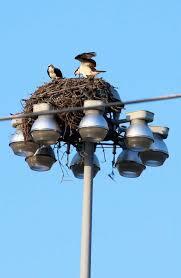 Smaller birds, including House Sparrows and Monk Parakeets, sometimes nest within an Osprey’s nest. 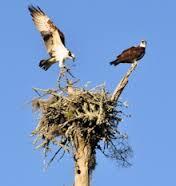 Osprey pairs can construct their nests in as few as seven to 10 days. 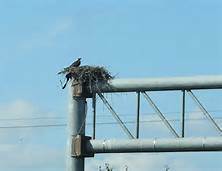 Ospreys deliberately chose highly visible nesting sites, or perhaps it’s more accurate to say that such a site makes the surroundings highly visible to the osprey. 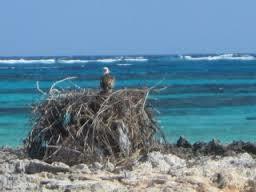 The nest sites are always near water with good visibility and limited access for predators. 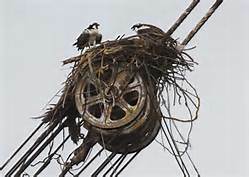 The species’ preference for out-in-the-open nests may explain why nestling ospreys wear camouflaging coats of mottled down. 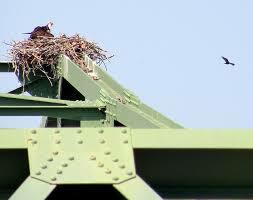 Hopefully we will see some nestlings this summer. 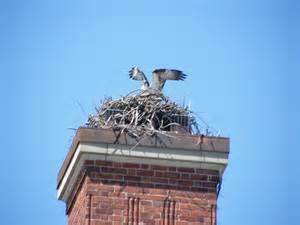 Aerial predators such as bald eagles, gulls, crows, and ravens have difficulty spotting the young from above. 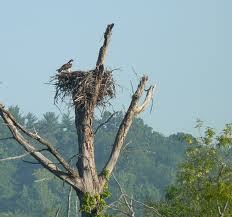 Ospreys have traditionally nested in the bare branches of dead trees. 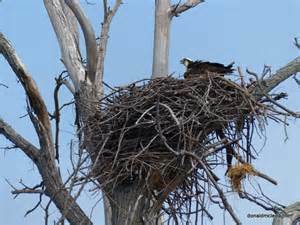 Typical nest sites are dead or relatively open live trees, in or within a few kilometers of open water. 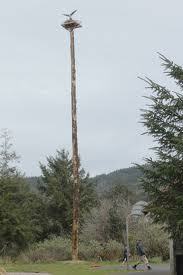 Regarding dead trees, ospreys have a penchant for tall trees devoid of their upper branches. 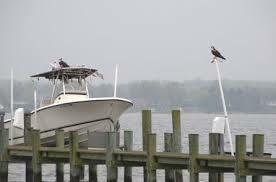 They settle on top of the exposed trunk, giving them 360 degrees of visibility. 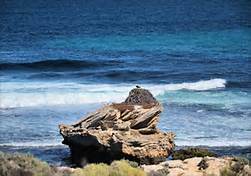 Rocky outcrops just offshore are used if available. 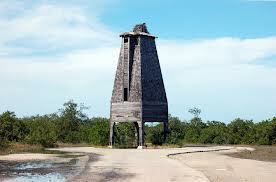 Many are renovated each season, and some have been used for 70 years. 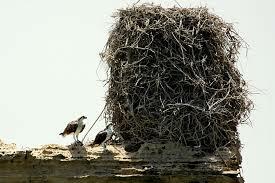 The nest is a large heap of sticks, driftwood and seaweed. 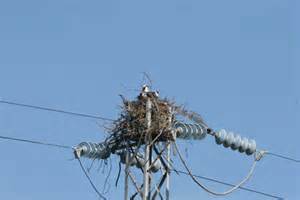 Sometimes ospreys nest on the ground. 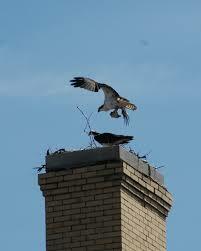 As long as it is save from predators, why not? 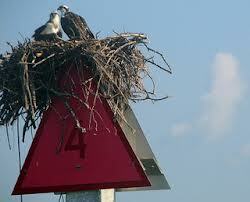 Channel markers are favorite osprey nesting sites. 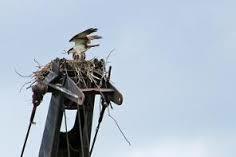 There is always the osprey that has to be different. 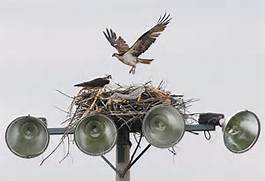 Some ospreys enjoy the spotlight. This mischievous couple shut down a construction project in south Florida for six months last year. I can hear the cursing now. It has happened before; more than once! 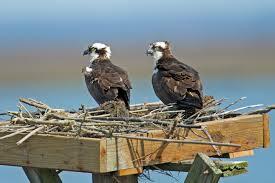 Ospreys are federally protected by the US Fish and Wildlife Service under The Migratory Bird Treaty of 1918. You cannot touch them! 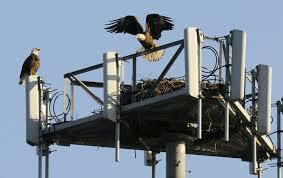 These sites are for high energy, emotionally charged ospreys with electric personalities, that do not mind high tension. 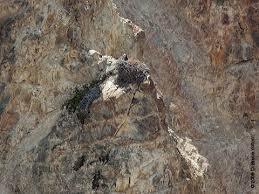 They are thrill seekers who occasionally like to have a tingle or get a buzz on. Shocking news does not bother them. Remember you cannot disturb them. 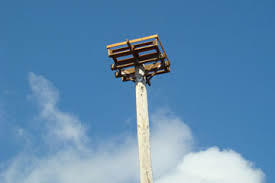 Has anyone ever heard of a Bat Tower?